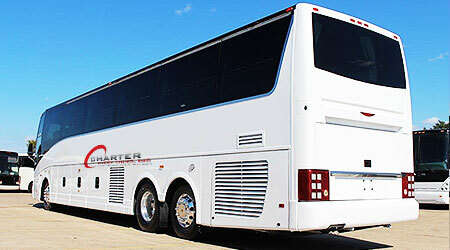 Charter Everything Inc. is a leader in charter bus rental, offering safe, affordable and reliable travel options that suits your needs. Whether it is Idaho sightseeing for a day, a business trip, wedding guest transportation or a sports event for your group of 10 or more, we have a deluxe Coach or Mini Buses ready at your service. A team of experienced, well-trained and friendly drivers operates our charter buses with safety and comfort on the mind. Our booking specialists can customize your Idaho trip to meet your needs and budget. The vehicles come with all the comforts of modern life, making your journey with us convenient and at ease. When you book our bus, you get premium amenities such on-board lavatory, plasma television, Wi-Fi, DVD player, central cooling and heating system, spacious luggage compartments, PA/microphone system, reclining seats, and electrical outlets. 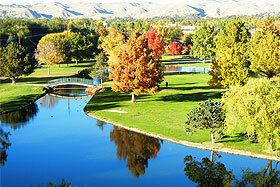 Take a tour of Idaho in style and luxury with our charter bus rental services. Idaho, the northwestern U.S. state, tops the chart among travelers with this magical mountainous backdrop, friendly community, and rich cultural heritage. From the lunar-shaped landscapes and lakes to the seights of the Hell’s Canyon, Boise River Greenbelt trail, or the outcroppings at City of Rocks, Idaho presents a blissful mix of natural attractions and thriving culture. Whether it is summer or winter, Idaho is a favorite destination for fun-filled family outings, romantic getaways, or adventure trips. The foothills are ideal for biking and hiking, while the 25-mile paved Greenbelt highlights the cultural exuberance of the place. When Idaho is such as a splendid state to explore, why not make it special with deluxe charter bus rental? Do not worry. We have the best solution for you. Call our reservation specialists and explain your tour plan. We will design a suitable itinerary that fits your sightseeing goals, group size, and needs. When it comes to transporting your employees or exclusive VIP transfers, Charter Everything Inc is the name you can trust. We provide charter bus rental solutions for group corporate tours in Idaho, out-station business meeting, conventions, and events. We also provide employee shuttle service, multi-destination corporate trips, and hotel or airport transportation. 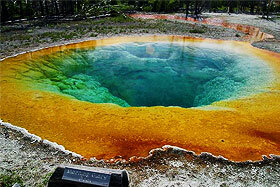 You can visit the best of destinations in Idaho through Charter bus rental service from Charter Everything. Professionalism and timeliness are two important factors that businessmen prioritize. We keep this in mind and provide reliable ground transportation solutions that ensure safety, sophistication, and punctuality. Whatever is the purpose of travel, our drivers will reach the pickup point 15 minutes ahead. They will take you through the easiest routes to ensure you reach on time and without any hassles. Idaho, with its mesmerizing natural backdrop, modern facilities, and friendly people, is the ideal choice for a destination wedding. Make your wedding special and memorable in Idaho as Charter Everything takes care of all your transportation needs. Out-station guest transportation? We are there to help you with tailored charter bus rental solutions. Airport or hotel shuttle service? Our drivers are available at your service, always. Wedding party transportation? Charter Everything is there for you. We provide comprehensive wedding charter bus rental services for bachelor/ bachelorette parties, bridal showers, dinner rehearsals, and weddings. Regardless of whether you have a professional sports team, a college squad or local group. 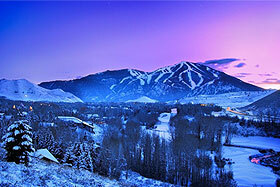 We offer the best charter bus rental solutions in Idaho. Our sports team charter bus service includes safe and luxury coach buses, reclining seats, audio-video systems, Wi-Fi, and spacious luggage compartments to carry all of your sports equipment and baggage. Stay plugged-in or relax as you pep up for your upcoming sports event. Nightlife in Idaho is full of vigor and enthusiasm. There are several nightclubs, pubs, bars, and restaurants where you can spend quality time with your friends. Worried about transportation? Call Charter Everything today and we promise you the most reliable and safe night out transportation solution. To set the perfect mood, our party buses offer leather seats, wet bar, fiber optic & neon lighting, sunroof & moonroof, black tinted windows for privacy, surround sound system, Wi-Fi, wireless PA systems, plasma television, DVD/CD player, and sanitized restrooms. So book today and make your night at Idaho invigorating. Why Choose Us for Idaho Charter Bus Rental? Whatever the occasion or need to travel we offer a wide range of charter bus services to make transportation as smooth and comfortable as possible. Being a leader in this profession, we ensure the highest levels of safety and convenience of our passengers. We also stand ahead in the competition with affordable rates that fit every budget.